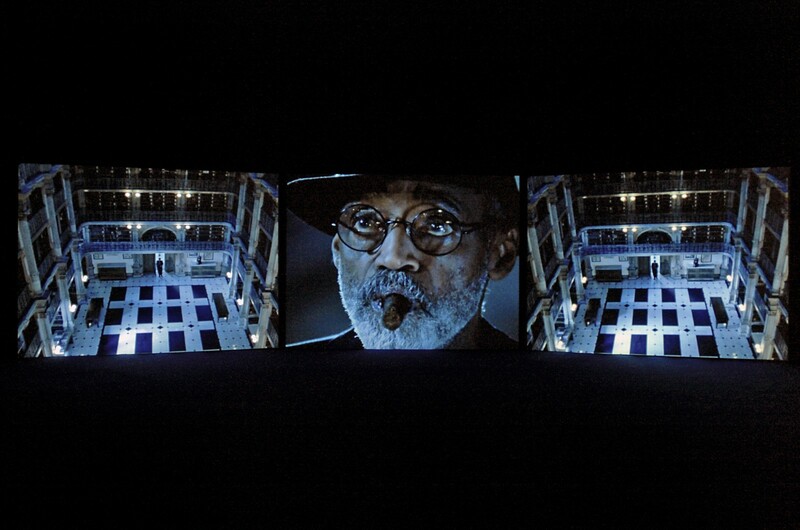 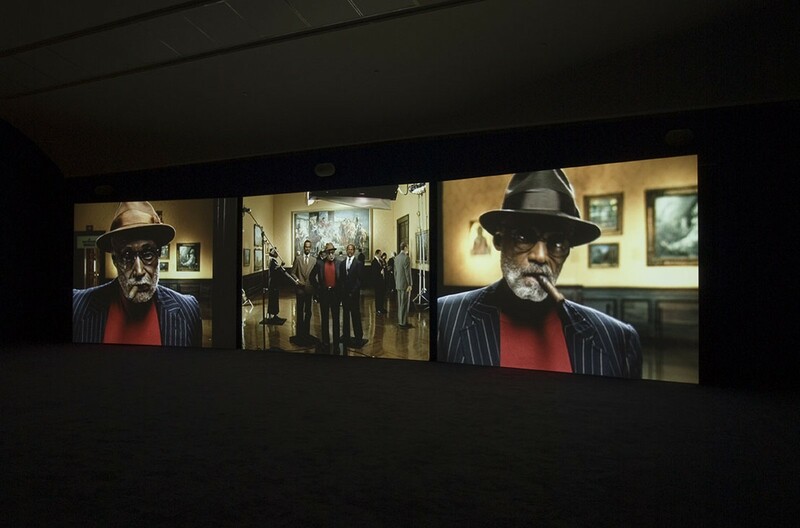 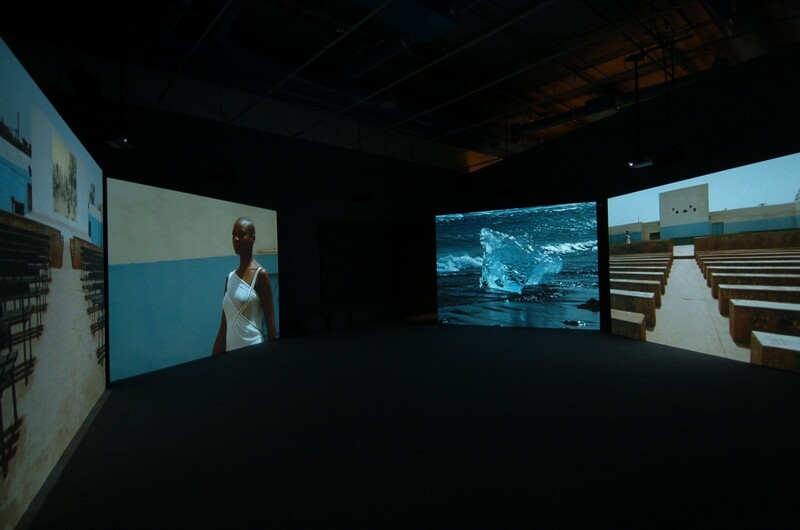 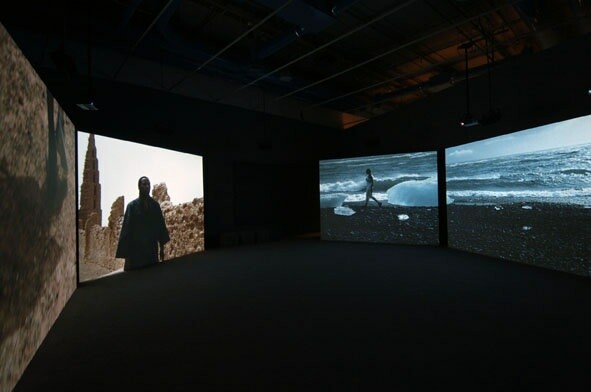 Cinema is at the heart of Isaac Julien's Baltimore, 2003, and Fantôme Créole, 2005, which negotiate issues of black identity and the African diaspora through experimental montages and large-screen installations that unravel linear narratives. 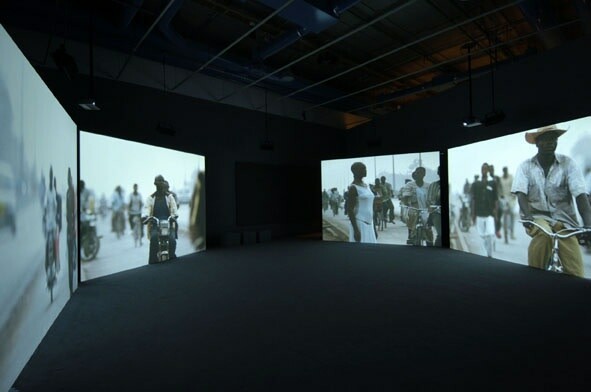 Baltimore incorporates references to blaxpoitation films and their icons in an urban setting, while Fantôme Créole employs ethnographic and archival footage in reference to explorers' expeditions and their visual or textual traces. 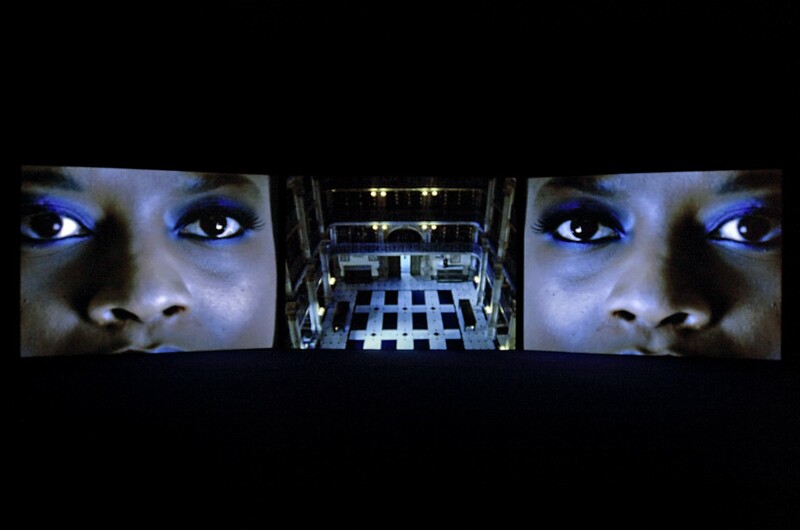 Produced for the Centre Pompidou, Fantôme Créole is spectacularly presented on four screens in the first room. 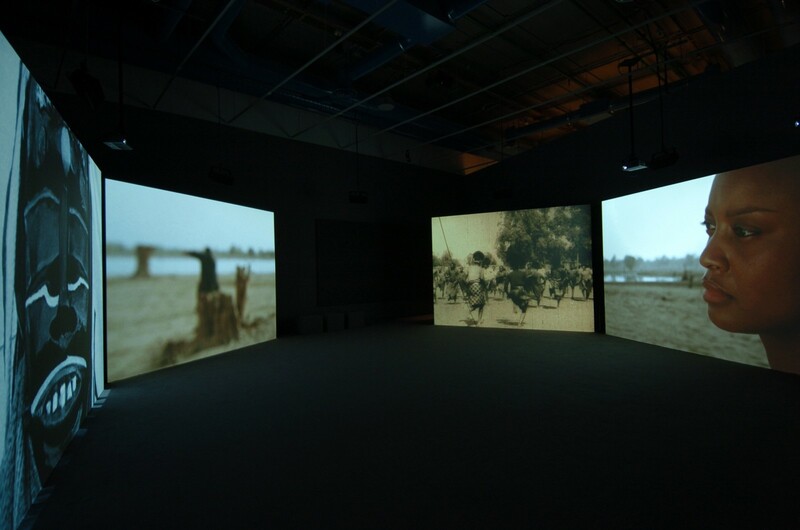 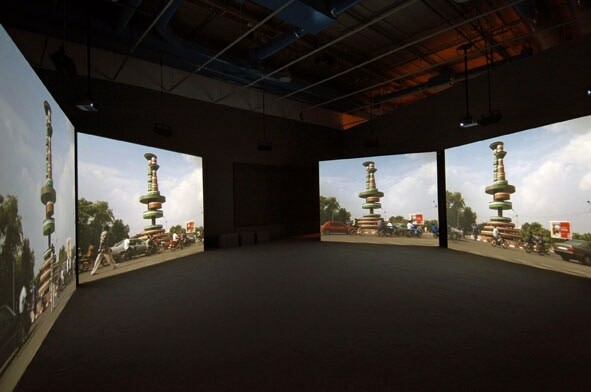 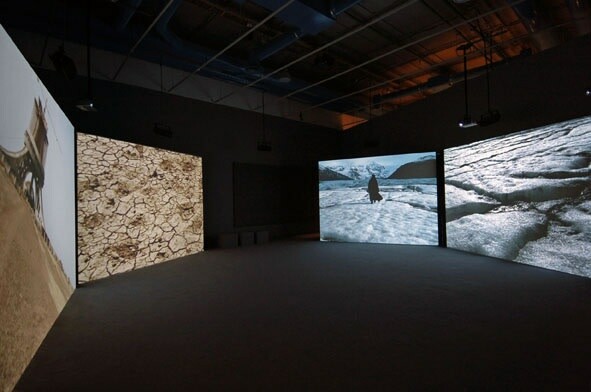 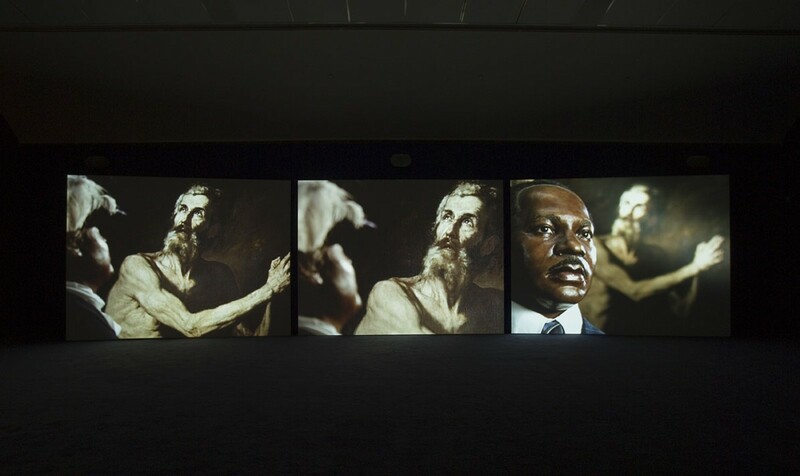 The video envelops the spectator in various locales: the red-brown earth-tones of a desert village; the monument of film canisters at the Place des Cinéastes in Ouagadougou; and the arctic gray-blue terrain of northern Scandinavia. 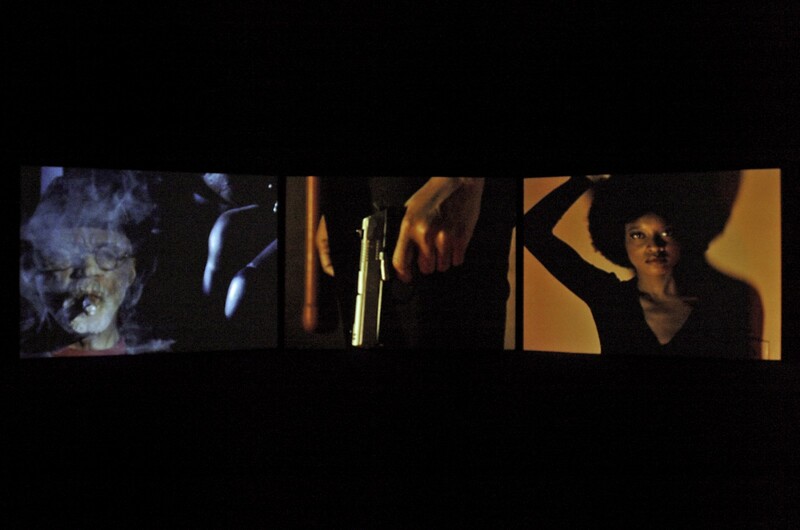 Vanessa Myrie's statuesque and enigmatic explorer/wanderer figure draws us in as the palpable link between the northern and southern landscapes, but the parallel juxtapositions of images on the four different screens constantly challenge our attempts at framing them with any certainty.